The roads are a dangerous place where a life is lost every 12 minutes and every 14 seconds a car accident results in an injured victim. Making the roads a safer place is the number one concern of state officials who work day and night trying to keep the roads safe. Authorities are always trying to stop drunk drivers and prohibit people from ever getting behind the wheel if they have been drinking. Alcohol is the enemy number one on the road, on average someone is killed by a drunk driver every 45 minutes according to Mothers Against Drunk Drivers (MADD). It is scary to think that someone dies from an alcohol related incident on the road every hour. Police may not be able to stop someone from ever driving drunk, but, if they catch you once they can make it very difficult for you to ever drive drunk again. Back in March we talked about Automobile Ignition Interlocks in Maryland and how effective they can be in deterring chronic drunk drivers. Minnesota has now followed suit, with access to ignition interlocks they will be able to keep better control of those drivers who are known to have driven drunk in the past. Minn. Gov. Tim Pawlenty signed new DWI legislation on Tuesday with a "high-tech strategy"; however, the new law will not take effect until July 2011 so that all the details can be worked out and implemented properly. Of those caught driving intoxicated in Minnesota, people more than twice the legal limit for alcohol and repeat drunken drivers will be have to pay for and install an ignition interlock device in their vehicle if they ever plan to drive again. 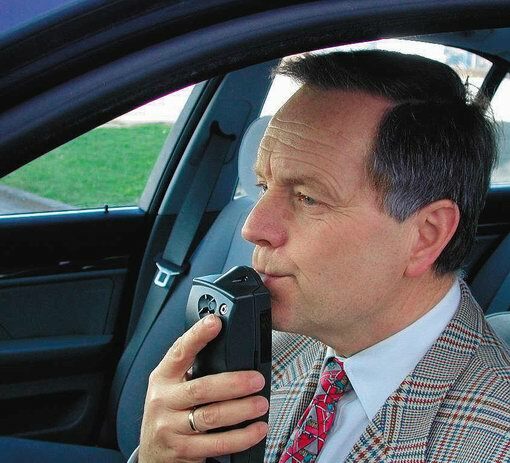 Ignition interlocks will require a breathalyzer to start the vehicle and will periodically require subsequent tests while driving from "A" to "B". It is a crime to tamper with the interlock device and it will only extend your punishment.